A great way to set your home apart in a competitive market is to add some upgrades to your kitchen and bathrooms, for an instant estimate of granite or quartz countertops visit granitemakeover.com Upgrading from formica or tile to custom countertops can increase foot traffic to your home over the competition and may shorten the time to sell and or increase your sales price. Be sure to select a stone color that matches your current space. Pick up colors from your cabinets floors and walls. This is the safest way to enhance the space. Granite marble and other natural stones come in many shapes and sizes for countertops. Granite marble and comes in tile sizes (12x12), "prefab" or pre made to countertop depth ( 30" X 96" ), and slab sizes (6' x 8' to 6' x 11'). For countertop Applications the main factor in selecting the size of the material is the larger the material the less seams in your kitchen or bathroom project. Seams take your eyes away from the beauty of the material and the flow of the surface. less seams the better. We will speak to slab material mostly as it is the preferred method with the least amount of seams. Slab granite, quartz, and marble come in 2 main thicknesses. 2cm (approx. 3/4 of an inch) and 3cm (approximately 1 1/4 inches). Any stone thinner than 2 cm would be tile size because it would break if it was any thicker at larger sizes. We have seen granite in slab form as thick as 7cm or 3 inches thick. The thicker the stone the harder it is to handle due to the weight of the material. Each project is different. Your layout, your options selection, the complexity of the countertop, the material, the edge.. the distance from the shop, the time of the year and the current demand on the fabricator. Not all natural or man made material is created equal. Some stones have cracks and fishers and some are naturally softer so they will be backed with a resin mess. These stones can be more difficult and need to take more care to handle thus increasing the cost to fabricate. The size of the slab also is a factor in some designs as seam placement and complexity can increase fabrication time and costs. if the material has a lot of veins and pattern complexity then matching the seams ads more time and resources as well. This is an area where a cheaper price may be reflected in less attention to detail on seams and the looks of these seams in your design. Detailed edges add an interesting detail to your countertops. they accent the material, style and deisgn of your kitchen. Chiseled edge does not fit in a modern kitchen where more hard flat edges would fit much better. In a rustic log cabin a chiseled edge would be more suited. Ogee edges and more detailed edges fit a more eclectic style where many of the standard edges for the more transitional. Full Bull nose, chisel, Ogee, are examples of non standard edges. Basically how much material needs to be removed to create the edge and then details to be polished increase costs. Each cut out increases fabrication time and each cut out that will be exposes requires polishing time. Expect to pay per cutout out required for your kitchen remodel. If you kitchen requires many prices and levels of countertops as well as angles and radius over hangs all these details will add complexity to the design and will increase fabrication costs. Features like a mitered edge and laminated edges will also increase costs to fabricate. Distance from the fabrication shop is a factor to be considered. if your distance from the vendor is significant expect the final quote to reflect this. Access to the location, whether many stairs, size of pieces all will factor into how the countertops are fabricated and how much it will cost to do the installation. natural stone is very heavy and special equipment is used and is required to move this material into your location. A typical kitchen in a major metro is 30-40 square feet (sf) A typical suburban 3 bedroom home is 40-80 sf depending on the kitchen design. Large vacation homes can go easily into the 100+ sf of material required. All will factor into your costs associated to your kitchen or bathroom remodeling project. What are the Steps to get custom countertops? Your desire to have custom countertops. Define a budget for your project. There is no clear way to say what is "countertop material is better" in general. Its really what is important to you. How we define this is to go over the properties of each material and see what matches with your goals. Lets talk about the look of quartz countertops. The first quartz countertops on the market were very uniform in color and appearance. Over time the process and product has become more sophisticated. Many quartz products now have attempted to mimic the looks of natural stone. The only way to do this is to change the manufacturing process and the material to control colors of the material by coloring the plastic material. This increases the amount of viewable plastic and requires clear material to construct the countertops. If you are going to go with a quartz countertop I recommend one with a warranty and a long one. These are going to be pretty expensive but based on what is coming into the market today. You will see more and more people complaining of issues with these cheaper quartz countertops and that will affect the market for the more reputable provided. Granite became populate for residential home back in the early 80s and has been a market lead ever since. Since the housing crisis of 2007 the demand in the new home market dropped and the market had to respond with a more attractive price point for the residential consumer. Demand grew to remodel existing homes. 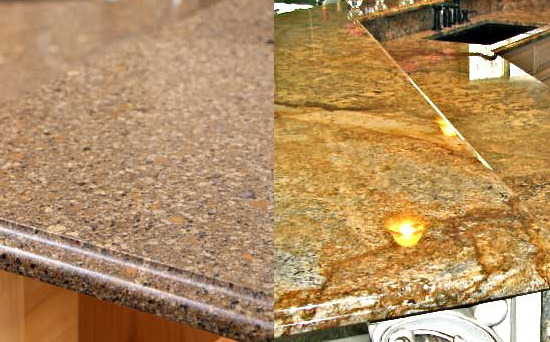 All materials for countertops try to mimic the look and appearance of granite countertops. 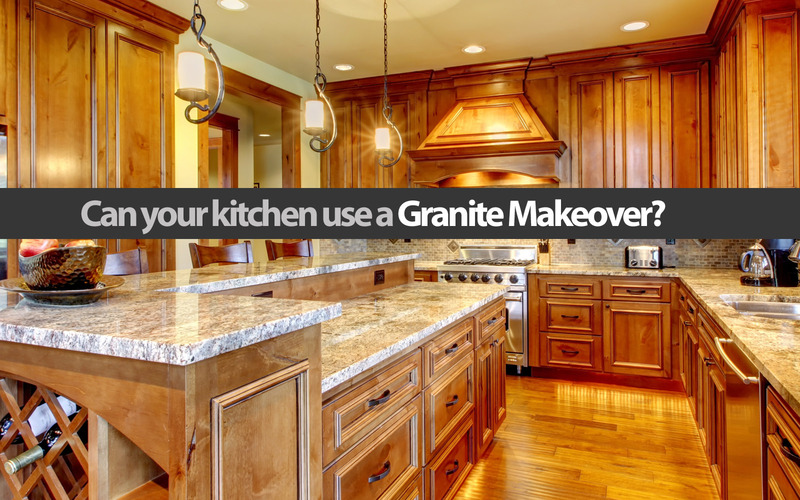 Granite countertops will remain a leader for some time to come. Granite Countertops have the greatest perceived value when it comes to selling your home. All other materials do not have the same level of desirability to the general public. Maintenance is low to once a year applying a sealing application. granite is extremely hear resistant and stain resistance but sealing your stone is important to its long standing beauty. When it comes to beauty of natural stone nothing can quite match the look of marble and the veining for the whites, blacks, reds and greens. Marble is made from compressed limestone. This is not a very durable material to stand up to kitchen use but has been widely accepted in bathrooms and for fireplaces and other decorative areas. Limestone is porous and can stain pretty easily. Maintenance is low in the appropriate setting.